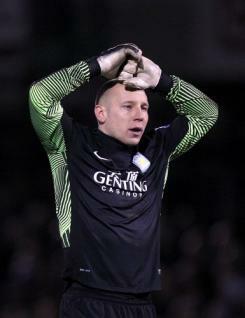 Brad Guzan is a young goalkeeper who signed for Aston Villa in the summer of 2008, having previously played in the MLS with Chivas USA. Brad has found it difficult to break into the Villa first team due to the tremendous form of regular ?keeper Brad Friedel, but he has been a regular in cup competitions. Brad played in both legs of Villa's Europa Cup tie with Rapid Vienna in August 2010 and later spent time on loan with Hull City where he featured regularly in the side. Brad has been capped at full international level for the United States and also represented his country at the 2008 Olympic Games.